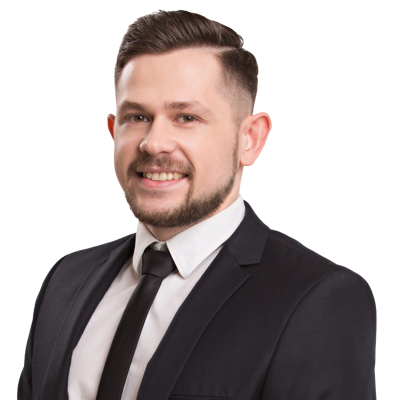 Nikolay joined the company in February of 2017 and has expertise in working with the patent database, monitoring annuities and other deadlines, drafting and filing of patent applications on inventions, utility models and industrial designs. Nikolay received a Bachelor’s Degree with honours in 2012 at the National Technical University of Ukraine “Kyiv Polytechnic Institute”, specializing in Engineering for Machine-Tool Building. He went on to receive a Master’s Degree also with honours in 2014 at the same University, majoring in “Professional Intellectual Property”. As a Patent Counsel, Nikolay manages records on applications for inventions, utility models and industrial designs and provides annual maintenance of patents. He conducts correspondence with clients and provides complete information on patent applications, annuities of patents as well as other deadlines. In his free time he prefers spending time with his friends or working out in the gym. He also enjoys football and basketball. Nickolay is a co-author of the Guidebook to Patenting in the CIS and EAPO.